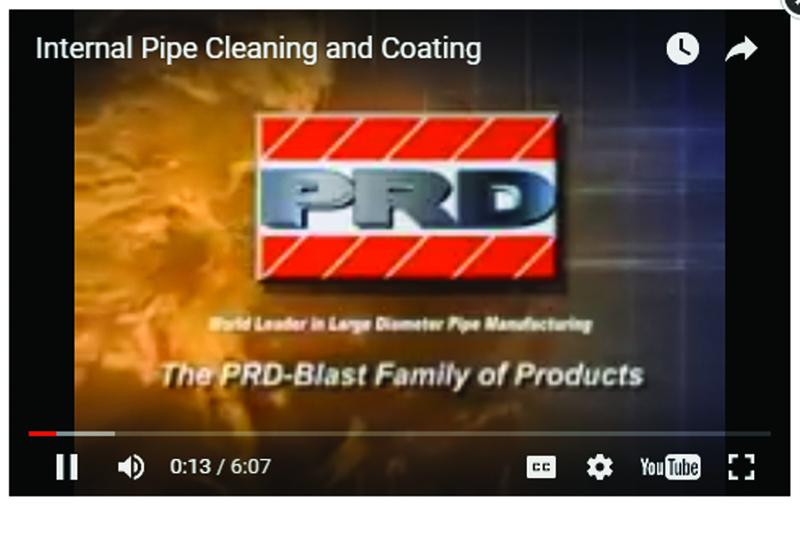 The PRD- Blast Spray Application System is a durable yet efficient rotary lining/coating applicator. Model 201A unit consist of a base frame, wheels, rotary head, explosion - proof air motors ,air regulators, air exhaust tank, air hoses and control panel for forward/ reverse motion as well as rotation speed of the rotary head. Model 201A machines can drive through pipes from 24" to 72" for spray application of lining materials. Linings can be applied in smaller diameter pipes by use of a lance attached to the rotary head. Spray tips are attached at the end of the lance and the lance is pushed in and out of the pipe by the model 201 A machine. The lance should be supported inside the pipe by a specially designed centering tool that is available from PRD. All motors in this unit are explosion - proof air motors. One air motor powers the rotary head that rotates the spray tips for the lining application. A second air motors powers the drive on the cart. Air motors are an excellent alternative for applications that require explosion proof motors because there is no heat buildup or electric sparking possibility. Additionally, stalling or overloading will not usually damage an air motor. These motors are ideal for continuous duty in lining/coating application. Air motors cannot and should not be subjected to maximum air pressure up on start up. Air inlet lines should be opened slowly in order to prevent damage to the gear reducer. Application of the lining / coating material requires an airless pump.